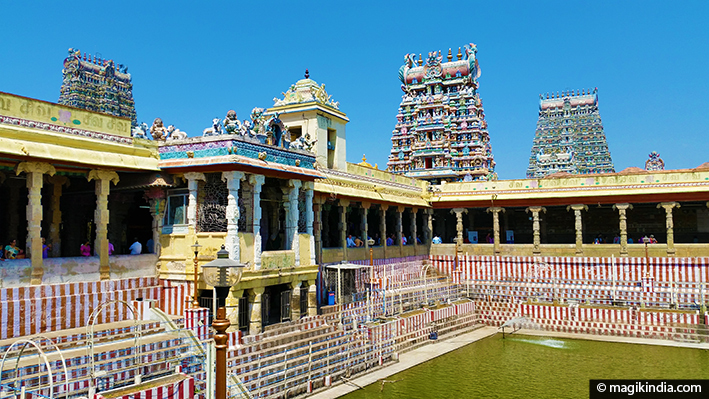 An island surrounded by crystal waters and edged with delightful fishing villages, and a temple with endless pillars that houses one of India’s most holy shrines: Rameshwaram is a mandatory stop for anyone visiting Tamil Nadu. 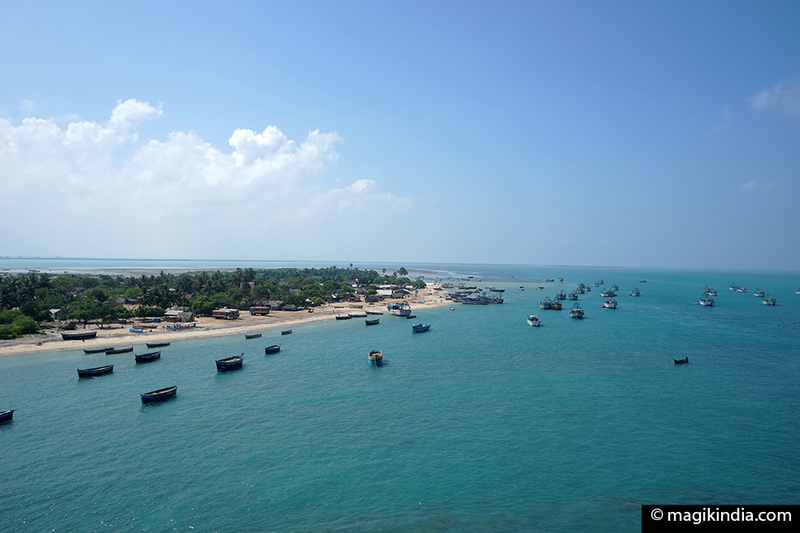 The legends says that the island of Rameshwaram is where the Hindu god Rama built a bridge across the sea to Sri Lanka to go and rescue his spouse Sita from her kidnapper Ravana. 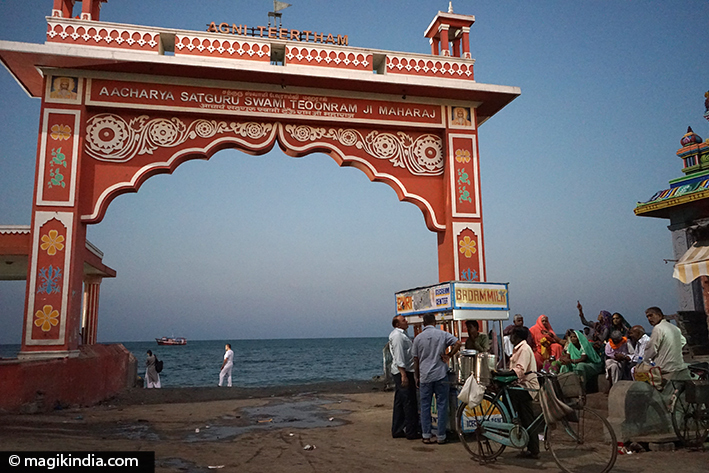 The town was named Rameshwaram, “land of Lord Rama” when Rama worshipped Shiva on his return from Sri Lanka. To cleanse himself of the murder of King Ravana, which were an ardent devotee of Shiva, Lord Rama wanted to offer a shrine to Shiva. He asked Hanuman, the monkey lieutenant of his army, to bring a lingam from Mount Kailash. But that took time and as the propitious period for installing the lingam was at its end, Sita made a small lingam out of sand. When Hanuman got back with the Shiva Lingam and saw the sand lingam he was very disappointed. To console him, Rama ordered that all pujas should first be performed on the Vishwalinga Hanuman had brought – a tradition that continues to this day. It contains one of the 12 Jyotir Lingams or “lingams of light”. 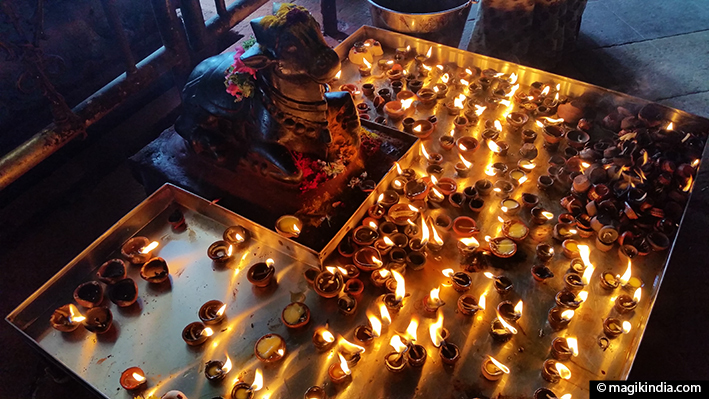 It is also one of the 275 Paadal Petra Sthalams, the Shiva temples glorified in the verses of the three most venerated Nayanars (Shivaite tamil saints), Appar, Sundarar and Tirugnana Sambandar. Lastly, the temple is one of the Char Dham, the four most holy places in India, the others being Badrinath, Puri and Dwarka. 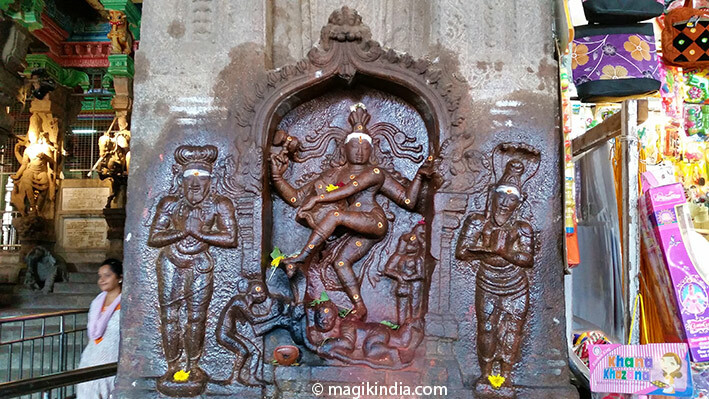 There are two lingams in the temple: the Ramalingam which according to legend was made by Sita and is the temple’s main deity, and the one Hanuman is supposed to have brought, called Vishwalinga. 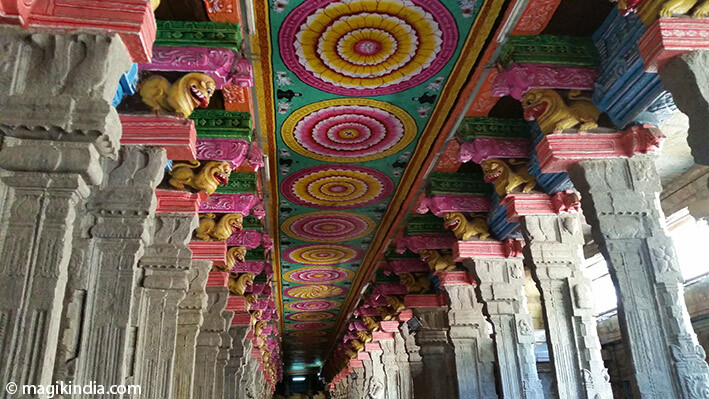 As well as its spiritual aspect, Ramanathaswamy temple is known for its immensely long corridors with thousands of carved pillars. It’s a perfect architectural gem. There are totally 64 theerthams (holy water bodies) on Rameshwaram Island. According to the sacred Skanda Purana scriptures, 24 of them are important places for spiritual elevation. 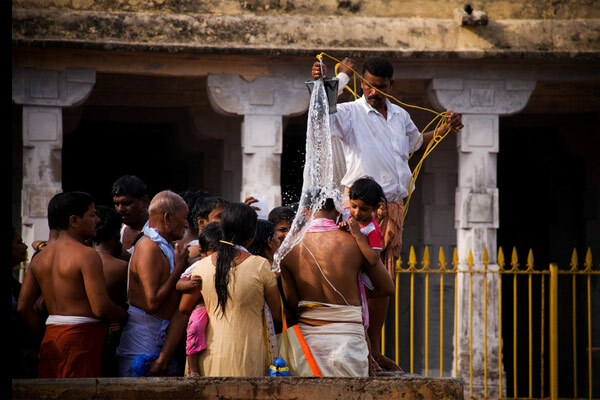 Bathing in the theerthams is an important aspect of the Rameshwaram pilgrimage and is regarded as a penance. According to the legend, Rama created those wells after realizing his mistake in killing Rama. Rama recognized that Ravana was a great Shiva devotee who had received boons directly from Lord Mahadev and that killing him was a sin. So, in reality, in Rameshwaram, Rama performed an “atma shanti puja” (ritual for the peace of the soul of the deceased) in Ravana’s name. In the Vedas it is said that whoever asks in this place for someone’s soul to attain a peaceful state after their passing, it will be given. Twenty-two of the teerthams are tanks inside the Ramanathaswamy temple precinct. The number 22 symbolises the 22 arrows in Rama’s quiver. Pilgrims go from one tank to the next to pour water over themselves with a small bucket. 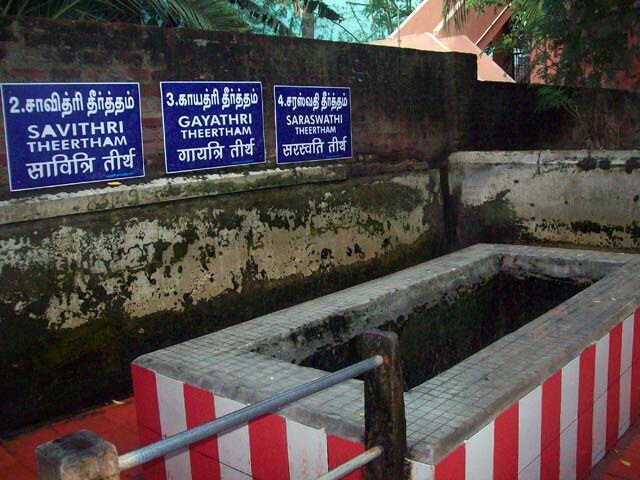 It is said that the water in each theertham has a different taste and temperature. Each one has a special significance. The water is also supposed to have healing powers. 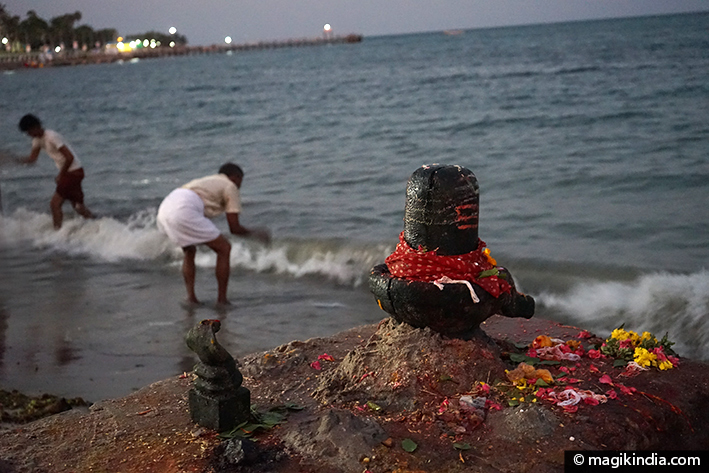 For a complete pilgrimage, the faithful bathe in the sea near the temple (Agni Theertham) before moving on to the tanks.